Despite their ubiquity on the roads today, sport utility vehicles (SUVs)–compact ones in particular–continue their blistering rate of sales. Their popularity shows no sign of wavering, and car makers continue to churn out new models like new flavors of Talenti gelato. In order to make your mark in this crowded field, you've got to have something that stands out above the rest. Luckily, the 2018 Mazda CX-5 delivers, offering cutting-edge styling, high-zoot trim levels, and decent dynamics. For this review, we evaluated a 2018 Mazda CX-5 Grand Touring with all-wheel drive (AWD) equipped with optional paint, Premium package, and several dealer-installed accessories. The price came to $34,685, including the $975 destination charge. Before we discuss the results of our evaluation of the Mazda CX-5, it's helpful to understand who buys compact SUVs and what they like most and least about them. According to J.D. Power research data, half of new compact SUV buyers are women. Buyers of this type of vehicle enjoy a median annual household income of $88,094, and their median age is 58 years old. Among them, half are members of the Baby Boomer generation (those born between 1946 and 1964), while 38% identify themselves as Gen X (1965-1976), Gen Y (1977-1994), or Gen Z (1995 and later). More than half of compact SUV buyers are choosing this type of vehicle for reasons related to practicality or price. A third of them disagree that they prefer to buy a vehicle from a domestic company. Fuel economy and environmental friendliness are not extremely important to compact SUV buyers. Just 17% strongly agree that their first consideration in choosing a vehicle is miles per gallon, while just 13% strongly agree that they are willing to pay more for a vehicle that is environmentally friendly. Low maintenance costs, high quality, and reliability are important to compact SUV buyers, which is true for all vehicle segments. Naturally, most buyers of this type of vehicle agree that they need a versatile vehicle to accommodate a busy lifestyle (84%). Nearly half (43%) of compact SUV buyers agree that, to them, a vehicle is just a way of getting from place to place, yet 66% agree that they like a vehicle that stands out from the crowd, and 88% agree that they like a vehicle that offers responsive handling and powerful acceleration. Most (79%) also agree that they will pay extra to ensure that their vehicle has the latest safety features. Buyers say their favorite things about compact SUVs are (in descending order) the exterior styling, driving dynamics, interior design, visibility and safety, and seats. Buyers indicate their least favorite things about compact SUVs are (in descending order) the storage and space, engine/transmission, climate control system, infotainment system, and fuel economy. Mazda has had its share of ups and downs with exterior design. Presently, though, the Japanese automaker offers a stable of vehicles boasting fine, taut lines and sculptured flanks. The 2018 CX-5 definitely makes the grade in terms of stylishness. From its aggressive snout and its sharply angled headlamps to its creased shoulder lines and tight rear end, the CX-5's styling sets it apart from the gaggle of compact crossovers that litter the landscape. In fact, in my opinion, it is the very best looking one. It's a good thing, too, as exterior styling is the trait that most compact SUV owners cite as their favorite aspect of this type of vehicle. Clad in the beautiful, glowing Soul Red Crystal upgraded paint, the 2018 CX-5 sat luminescent in our driveway. It was appealing enough for our normally reticent neighbors across the street to say something about our test car: "That sure is a pretty color. It's a good-looking car, too." Feeling like you got more than you paid for is a most excellent feeling. At that, the CX-5 Grand Touring delivers. My test vehicle was furnished with Parchment leather, an off-white color that contrasted prettily with the black carpets and trim. All the usual locations around the cabin were covered with upscale materials that felt pleasant to the touch, save for a few hard plastic exceptions. And the overall design is understated and refined, with elements melding into a harmonious whole rather than individual elements screaming out for attention. In short, this cabin is a great place to spend time. The CX-5's front seats were nicely bolstered and cushioned, and the 10-way power adjustments for the driver made finding a good driving position easy. The front passenger's seat also had a seat-height adjustment, which is always a worthy feature to call out. Both front seats of the test vehicle were heated, too, but ventilated seats can't be had at any price. In the rear, space was tight, even for my two school-aged children. If you try to squeeze three in there, you'll hear a lot of loud complaining. They did appreciate the rear air conditioning vents, the outboard seat heaters, and the USB charging ports, however. For some reason, Mazda SUVs of late have proven underwhelming in terms of their ability to cool the cabin on warm, sunny days. Solar heating through the windshield is the problem, overwhelming the dual-zone automatic climate control system and making the cabin uninvitingly stuffy, even on mild days. Noticeable in the CX-5, along with the midsize CX-9, an unusually weak air conditioning system takes a long time to cool down the cabin. Even during springtime weather in Southern California, it never delivered that nice, artificial frostiness at which point you need to turn down the system to thaw out your hands. Even after prolonged driving on warm days, the cabin merely got somewhat comfortable. We Americans in semi-arid, desert climates need jet turbine-type air conditioners, Mazda. On a positive note, though, the layout of the climate controls is intuitive, and the knobs and buttons are easily read and used. Mazda was among the pioneers of the tablet-style, upper-dash-mounted infotainment screens, with the controls located down low near the transmission shifter. This is a popular approach that many other carmakers are using, but with upgraded controls. Mazda has stuck with its traditional knob and buttons for several years, and despite the many Mazdas that have graced our driveway, I'm still not completely acclimated to the system. For example, I'd really like regular old power/volume knob and tuning knobs flanking the display screen, at the very least. The voice-recognition system can use some updating too, as it tends to confuse commands. Cars with Apple CarPlay or Android Auto smartphone projection are increasingly available, but alas, Mazda doesn't offer either system for the CX-5. I do, however, love the head-up display that gives you relevant information on the windshield. It is a nice upgrade in a segment where this technology is rarely available. People purchase utility vehicles thinking that they can carry all kinds of things that their sedans couldn't. While CUVs do offer greater cargo-carrying flexibility, the space within compact SUVs is just that–compact. The CX-5, with its 30.9 cu. ft. of space behind the rear seat, and 58.6 cu. ft. of space with the rear seats folded, is among the smallest of the compacts, and may further add to the dissatisfaction that some buyers of this type of vehicle feel about the storage area of their compact SUVs. Parents planning to tote full-size strollers will definitely need to bring their gear to the dealership to make sure it fits. Ski bums, however, will appreciate the 40/20/40 split rear seats, as well as the bins located to either side of the cargo floor that are perfect for securing libations for apres-ski get-togethers. One of the main reasons that drivers are besotted with utility vehicles is their higher seating positions. The CX-5 provides in this area, and also gives you big side mirrors and thin windshield pillars for excellent forward visibility. My test vehicle was also equipped with a comprehensive collection of active safety equipment, and impressively, a blind-spot monitoring system with rear cross-traffic alert comes standard with every CX-5. While I believe that this feature should be a standard safety feature in every new vehicle (it's something that comes in use every time you drive) the calibration of my test vehicle's blind-spot monitoring system was way off. See, the name is blind-spot monitoring; it tells you if there's a car in your blind spot when you activate your turn signal. But the system in my test vehicle was calibrated to give a warning if there was a car way off in the distance, the detected vehicle's headlights in your rearview mirror. The cars could be 50 yards behind you; it still beeped. The CX-5 doesn't provide any means of calibrating it differently. Like most safety systems, the more false positives, the more the driver is likely to simply ignore it, or turn it off. So what's the point of the technology? The Insurance Institute for Highway Safety (IIHS) gives the 2018 CX-5 a "Top Safety Pick" commendation, but curiously, the federal government gives it a 4-star (out of 5) rating overall, as it received a 4-star score in the rear-seat side-impact test. Let me go on record to say that I am not a fan of putting normally aspirated 4-cylinder engines in the bays of utility vehicles. In order to move a decent amount of weight, a 4-cylinder engine has to work pretty hard. The ultimate goal may be improved fuel economy, but because people tend to mash the throttle to wring what horsepower they can out of the engine, which is different from EPA driving-cycle testing, any promised benefit evaporates. So it is with the Mazda CX-5. Off the line, the 2.5-liter's 187 horsepower feels reasonably peppy, but trying to get it to highway speeds–especially when it comes to hills–requires quite a bit of patience. 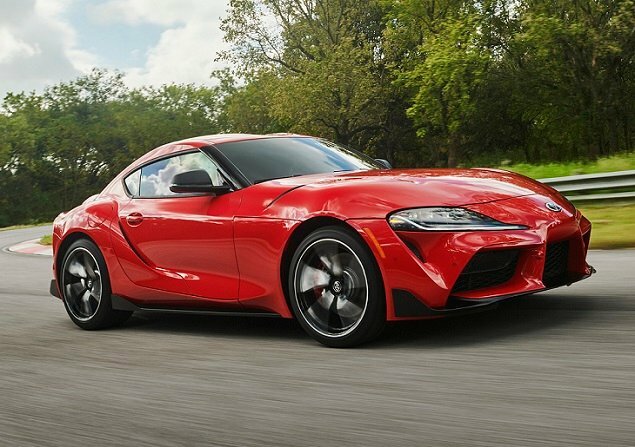 Putting the 6-speed automatic transmission in Sport mode is no help. There's lots of engine revving, lending an aural sense that the Mazda is charging up, but actual forward propulsion belies that notion. This engine really needs more mid-range grunt to make it feel genuinely lively. Independent publications have pegged the CX-5 AWD of running the zero-to-60 mph acceleration run at just over 8 seconds. This is competitive with other models in the segment, but it's a trifle more bothersome in the CX-5. Perhaps it's because the Mazda's dynamic tuning makes it feel like it should be faster to match its sporty character. My test vehicle was equipped with AWD, which during testing in dry Southern California didn't get a workout insofar as delivering traction on slippery roads. 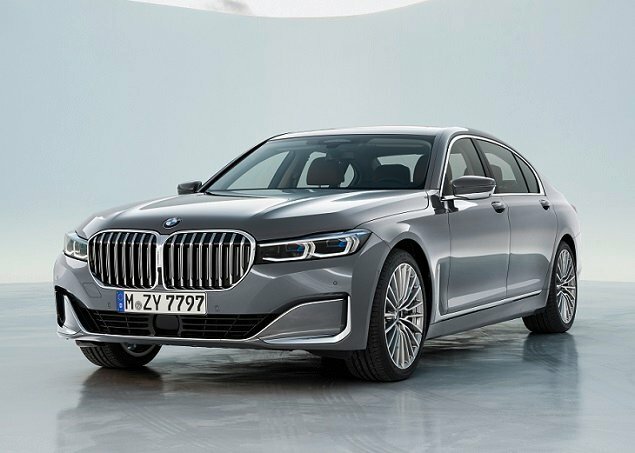 However, the standard G-Vectoring Control technology always helps bite the road with more fervor when you're pitching it into a turn. The EPA says that a 2018 CX-5 with AWD should average around 26 mpg in mixed driving conditions. On my test loop, the CX-5 managed 24.9 mpg, which falls slightly short of expectations. Most owners cite fuel economy as their least favorite aspect of their compact SUV, reflecting an expectation that their vehicle should go further on a tank of gas. However, driving them in real-world conditions, as pertains to the CX-5, means that you won't get as many miles per gallon as you may have hoped. The CX-5 looks taut and athletic, and it's always good to find out that a vehicle's dynamic abilities match its appearance. Undoubtedly, in terms of its ride and handling, the Mazda CX-5 is one of the most fun-to-drive compact crossovers on the market. The steering, brakes, and suspension are all calibrated to deliver a nice sense of the road, as well as the confidence to explore limits. When thrown into a tight curve, the CX-5 remains tight and flat, skipping past the apex and out of a corner without missing a beat, ready for more. And yet, when you're not driving with abandon, the CX-5 is lovely to drive around town, delivering a peaceful, supple ride, even over imperfect pavement. Its small size allows it to zip in and out of traffic, and its slender turning circle is a joy around tight parking lots. If you're looking for silver linings, the underwhelming engine keeps you out of too much trouble by keeping a cap on the speed. If equipped with more power, this thing would be way too easy to drive fast, getting a bit ahead of your abilities as a driver. The 2018 Mazda CX-5 is not without its faults. Its cargo area is a little too small compared to its competition, the engine needs a bracing shot of force-fed air, and the infotainment system can be a bit clunky to the uninitiated. 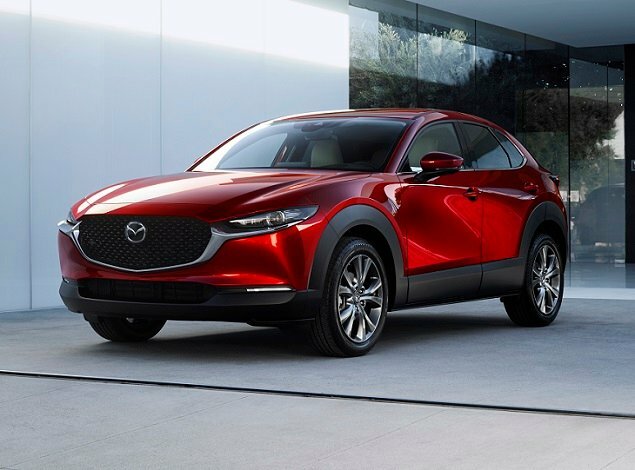 But for those who value design aesthetics, and for those who like to "Feel Alive" when they're driving, as Mazda's new tagline goes, the CX-5 stands head above the rest. This is one compact SUV that is definitely worthy of a test drive. Mazda North American Operations supplied the vehicle used for this 2018 Mazda CX-5 review.